His life can be roughly divided into three periods. 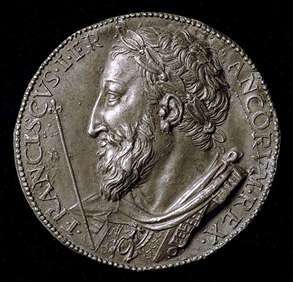 From the first, spent mainly in Rome, nothing survives but some coins and medals and the impressions of two large seals. 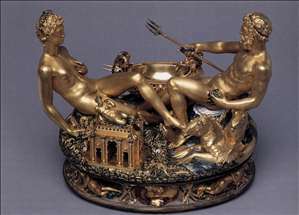 During the second (1540-45), which he spent in the service of Francis I of France, he created the famous salt-cellar of gold enriched with enamel (Kunsthistorisches Museum, Vienna), the most important piece of goldsmith s work that has survived from the Italian Renaissance. 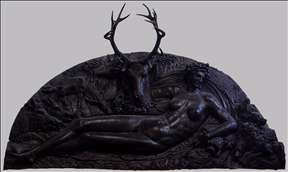 He also made for the king a large bronze relief, the Nymph of Fontainebleau (Louvre, Paris). 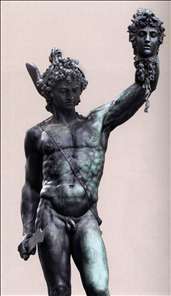 The remainder of Cellini s life was passed in Florence in the service of Cosimo I de Medici, and it was only in this period that he took up large-scale sculpture in the round. 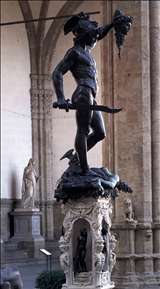 The bronze Perseus (Loggia dei Lanzi, Florence, 1545-54) is reckoned his masterpiece. 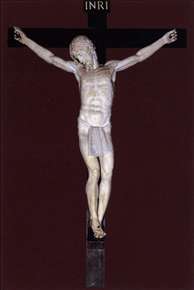 His other sculptures include the Apollo and Hyacinth and the Narcissus (both in the Bargello, Florence) and the Crucifix (Escorial, near Madrid), all in marble. 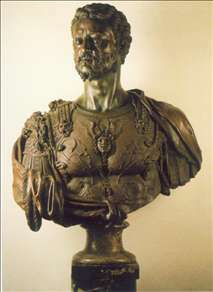 His two portrait busts, Bindo Altoviti (Gardner Museum, Boston), and Cosimo I (Bargello), are in bronze. 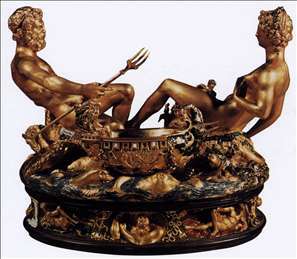 Their somewhat dry, niggly quality shows that the exquisite precision of handling of his goldsmith s work did not always transfer easily to a larger scale. 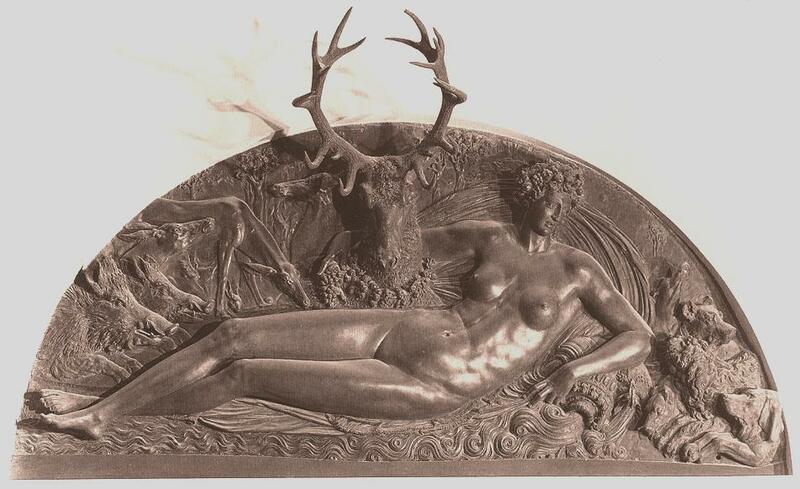 Because of his fame, many pieces of metalwork have been attributed to him, but rarely on secure grounds. See more details about "Bust of Cosimo I"
See more details about "Francis I, King of France"
See more details about "Ganymede"
See more details about "Nymph of Fontainebleau"
See more details about "Perseus"
See more details about "Perseus "
See more details about "Salt Cellar"